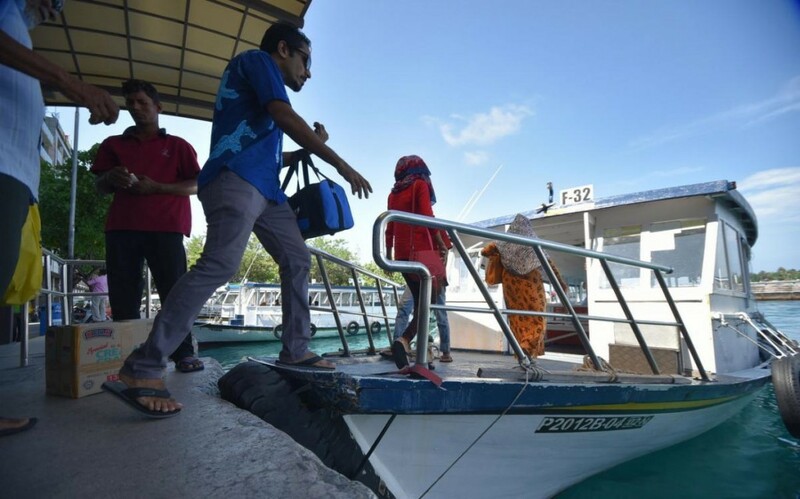 Maldives Transport and Contracting Company (MTCC) is set to limit its ferry service to the airport island Hulhule and reclaimed suburb Hulhumale over the major decrease in passengers following the opening of the Sinamale bridge which connected the two islands to the capital Male. MTCC in a statement on Sunday announced that the company would be ceasing the express speedboat service to the airport and Hulhumale from midnight on Monday. In addition, the state-owned company would no longer operate normal ferries to Hulhumale , the statement said. According to the statement, MTCC would only operate the premium air-conditioned ferries to Hulhumale while the normal ferries to the airport from Male would continue operations with effect from Monday. The bridge dubbed China-Maldives Friendship bridge before being renamed to Sinamale bridge was financed with USD126 million in grant aid and a concessionary loan from China along with USD12.6 million from the state budget. The over water bridge stretch out to 1.39 kilometers in length and 20 meters in width. Passengers using the ferry service had seen a drastic fall since the landmark bridge opened to the public in September.